This power supply offers multiple choices for operating modes, either constant voltage or constant current output, with automatic crossover between modes. The automatic shutoff saves times, energy and reduces errors. Automatic recovery eliminates the need to restart the unit. 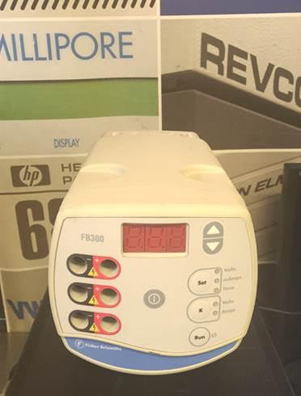 Thank you for your interest in the Fisher Scientific FB300 Electrophoresis Power Supply (ID #: 17307). To speak with a representative, please fill out the contact form below or call us directly.